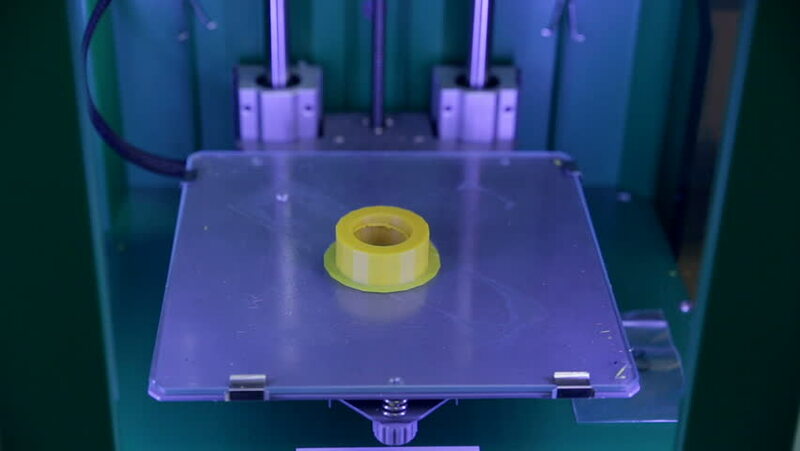 hd00:173D Printing industrial component - nut for modern car. hd00:073D Printer finished printing plastic element. hd00:12Turning on and off the light switch. hd00:16Three dimensional printer making industrial use nut. 3D plastic printing modern technology.